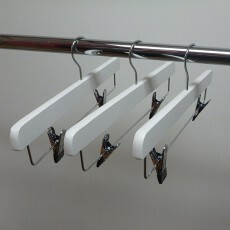 Coat hangers from Shopfittings Manchester are available in multi packs and many different materials. 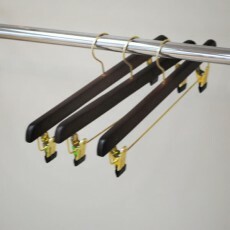 Including satin coat hangers, velvet hangers, wooden coat hangers, plastic coat hangers, metal hangers and wire hangers. 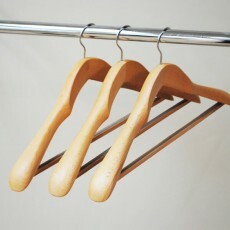 We pride ourselves in supplying quality coat hangers at competitive prices. 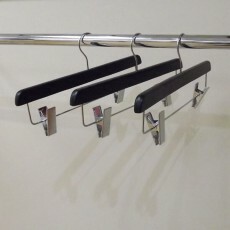 Our coat hangers are mostly sourced directly from the manufacturers, allowing us to offer the best possible prices, whilst maintaining quality control. 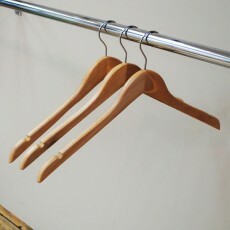 Our wooden hangers are available in multiple styles such as bar coat hangers, no bar coat hangers, clip coat hangers and suitable for both long and short our bulbous coat hangers to help garments sit on the hanger. 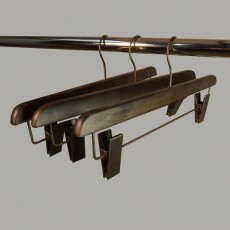 Our coat hangers are available in different finishes such as white, natural wood, walnut, black, vintage, lime green and grey they are also available in both adult and children’s sizes. 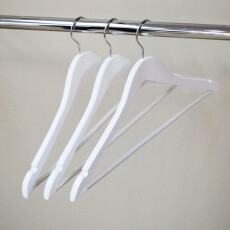 We stock a diverse range of plastic coat hangers, from cheap coat hangers to top quality jacket hangers. Our range includes plastic coat hangers with bar, lingerie hangers, trouser hangers, clip hangers, non-slip coat hangers, lightweight general-purpose plastic coat hangers, ribbed knitwear hangers, jacket hangers and suit hangers. 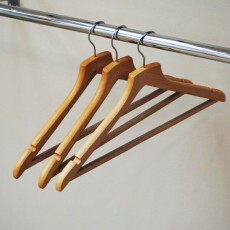 Our wire coat hanger range includes two different varieties, which are synonymous with the dry-cleaning industry. 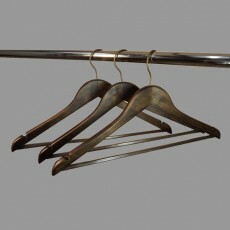 The range includes an Italian designed black-flocked hanger in both bar coat hanger design and a no bar coat hanger. We also sell in velvet a cerise pink, black and ecru space saving bar coat hanger. 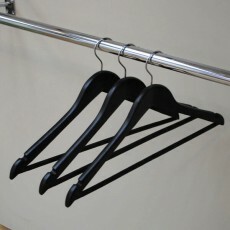 These are very popular for shops and domestic users who have lots of clothes with minimum clothes hanging space. 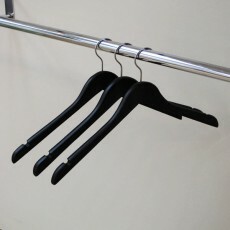 We supply two very popular varieties of hotel coat hangers; our wooden hotel coat hangers use a two-piece design, with non-slip trouser bar; the metal 'captive hook' coat hangers are of one-piece steel construction and are very robust and suitable for heavy weight garments such as motorbike clothing. 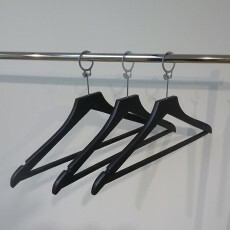 At Shopfitting’s Manchester, we supply most of the major multiple retailers and carry huge stocks of assorted coat hangers which are available for immediate delivery. Please call our sales office, should you wish to discuss any coat hanger requirements, including volume pricing for large orders.